Tyrone Green, FNB Wits Varsity Cup and SA Under-20 star made his Super Rugby debut for the Lions against the Melbourne Rebels on Saturday, March 16. The 20-year-old played a prominent role in the Lion’s nail-biting 36-33 win over the previously unbeaten Rebels team. Green started the game at fullback before moving to the left wing, where his perfectly weighted grubber kick set up a try, pivoting his team into a winning position. Green tallied up an impressive 13 runs, beating 9 defenders and gaining 85m for his team. This landed him a spot on the Vodacom Super Rugby team of the week. Green played in his first match for the FNB Wits team back in 2017. But “2018 was his breakout year” said FNB Wits manager, Ferdinand Kelly. “Green is an extremely talented and versatile player with an understanding of the game that surpasses many. He has the talent and the x-factor to be playing rugby at the highest possible level someday. “Obviously his talent got him where he is today, but I think that Wits and the Varsity Cup was a great platform for him to showcase his talent. He meant a lot to us as a team and to the university as a whole”, Kelly added. “One of the best things about Tyrone is that he is always excited to get the ball in order to make others on the team look good. He would make gaps for those around him and we obviously succeeded because of it” Said Gregory Champion, a former FNB Wits teammate of Green. Kelly told Wits Vuvuzela that “off the field [Green] is very humble and is someone that is true to his word”. After an impressive debut, Green will once again be wearing the number 15 jersey for the Lions in their match against the Sunwolves in Singapore on Saturday, March 23. Wits Vuvuzela, UJ thumps Wits in Joburg darby Varsity Cup encounter, March, 2019. Wits Vuvuzela, Wits send Capetonians packing in nail-biting Varsity Cup game, March, 2019. 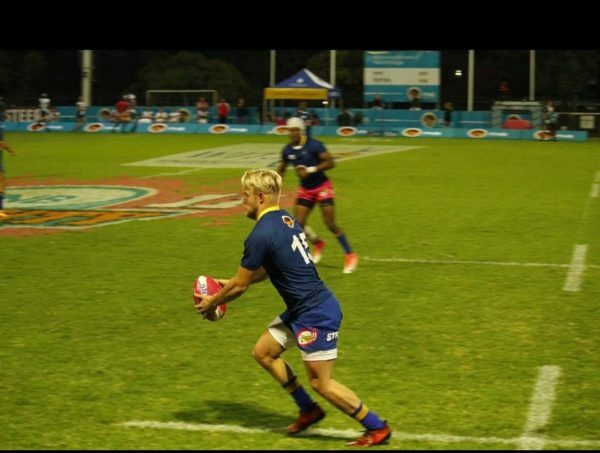 Wits Vuvuzela, Wits rugby secures victory against CUT in Varsity cup, February, 2019.